Born in the San Joaquin Valley of California, Fisher to grew up in a farming family, but between school and countless singing performances with her two sisters, Juni found a way to have horses, and 4-H and FFA honors followed her through out her school years. While studying Equine Science at the College of the Sequoias in Visalia, she rode young horses for her customers, and became known as a good horse show “catch rider”: she rode her way through college, with top honors at Intercollegiate and Quarter Horse shows. Meanwhile, she was earning horse show entry money singing big band standards in a dance orchestra. In her early adult years she apprenticed with a cowhorse trainer, and trained cowhorses from snaffle bitters to bridle horses, winning her first Snaffle Bit Futurity (IARCHA) in ’81, her first Bridle Horse Championship in ’83 (the Monterey Classic) while working on a cow calf operation, and running a roping arena. Her bridle horses did day work on the ranch, and competed weekends. If there was a campfire gathering with music, Juni was there with her guitar, singing the songs of the west she’d learned from her father. In 1984 she moved to Santa Ynez, CA, to train cutting horses, taking her blossoming songwriting skills with her. 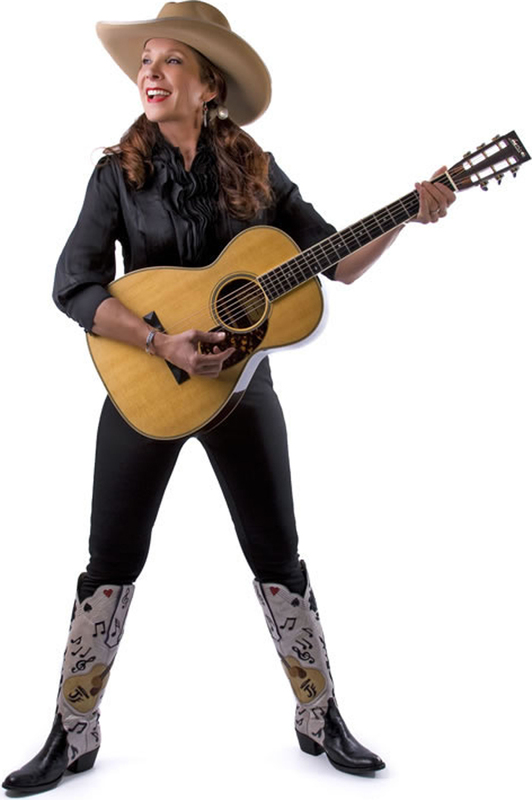 A local band was quick to ask her to play rhythm guitar and sing leads and backups, and soon she was working L.A. area clubs with a country dance band, which was playing western and cowboy music. Juni’s ability to ride at speed across the hills found her working as a foxhunting professional, and she accepted a one year position with a hunt club in Tennessee. Point to point racing, steeplechasing, and horse trials took the place of cowhorses, while she honed her songwriting skills among Nashville’s finest. Her first Western release,”Tumbleweed Letters” (1999) reached Monterey Cowboy Poetry and Music Festival director Gary Brown in late 2003. He shared Juni’s music with other promoters and soon Juni would shift to music full time as her profession. Fisher now performs at the major festivals, and concert venues of all sizes across the US.